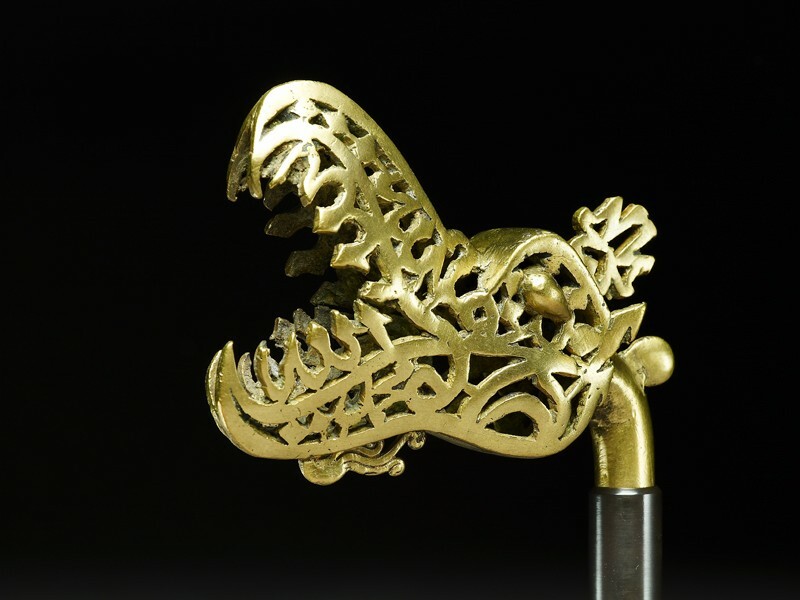 This brass openwork dragon or makara head was a finial piece from a religious standard (alam) displayed at a Shi’a Muslim shrine. It is composed of Arabic script: “Help is from God and Victory near” (Qur’an, 61:13). Its teeth spell “Allah”, and its crest “Muhammad”.